The next best solution? 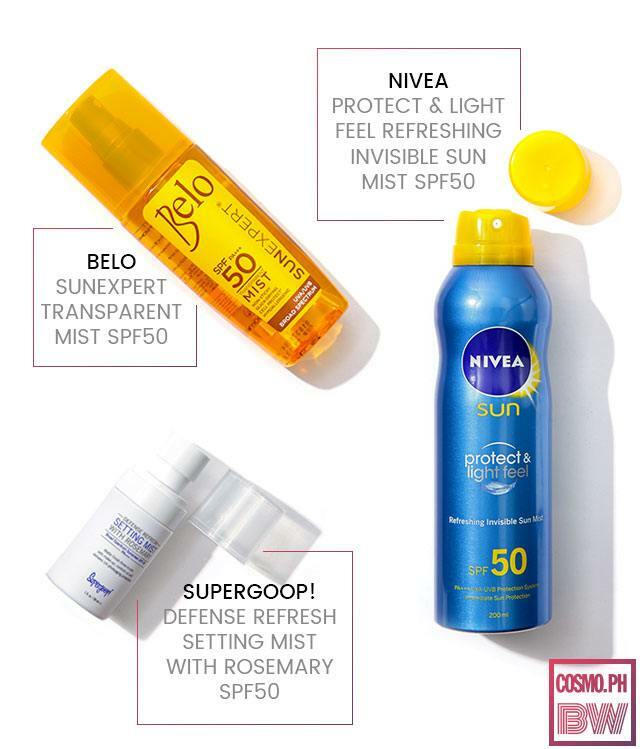 Face mists with sun protection! 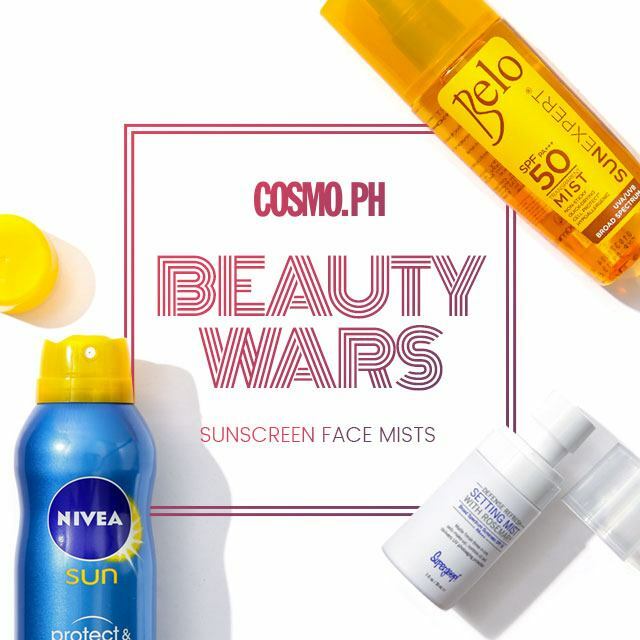 For the newest edition of Cosmo.ph Beauty Wars, we tried three that aim to set and mattify your makeup, and refresh and protect your skin. What It Is: A spray-on sunscreen that will protect every inch of your face and give your skin that sunkissed glow with or without makeup. 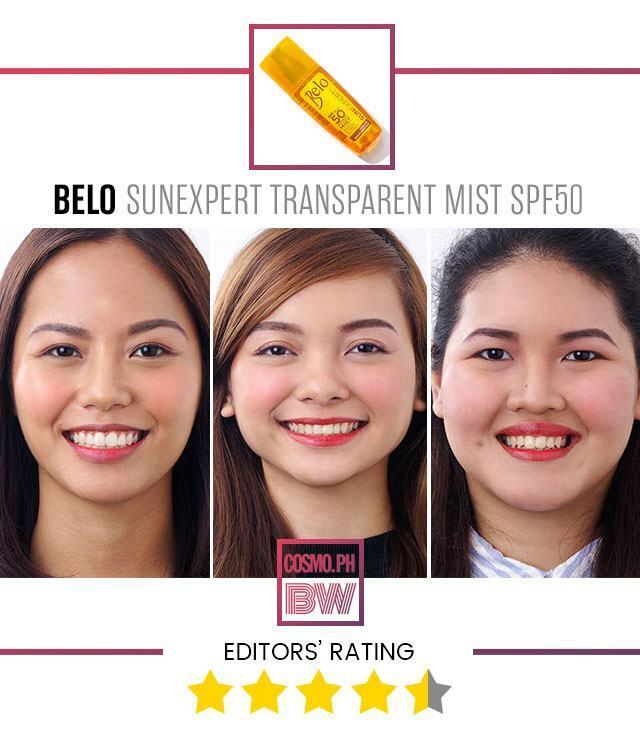 Why We Love It: We loved how this lightly misted our faces! It wasn't heavily perfumed either, so we were able to spray on as much as we wanted throughout the day. 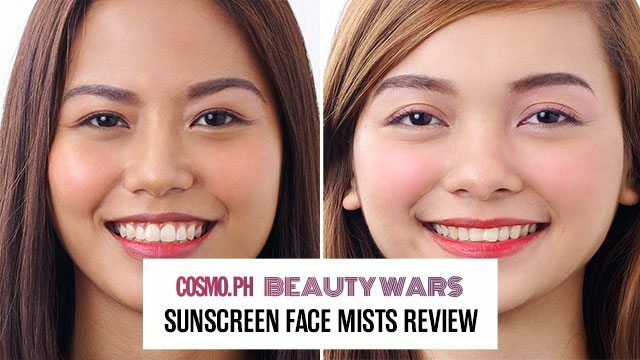 Plus, it gave our makeup looks a natural finish—not too matte and not too glowy. YAAAAS! What It Is: This non-greasy and fast-absorbing face and body sun spray boasts of a highly effective UVA/UVB protection system, and will leave your skin cool, refreshed, and silky! Why We Love It: We found this quite greasy and strong-smelling, especially after we sprayed it a few times to get the proper amount of sun protection our faces needed. The good part? It worked well enough for our bodies. It's perfect to bring to the beach when all you care about is protecting your skin, since you'll be jumping in the water anyway! 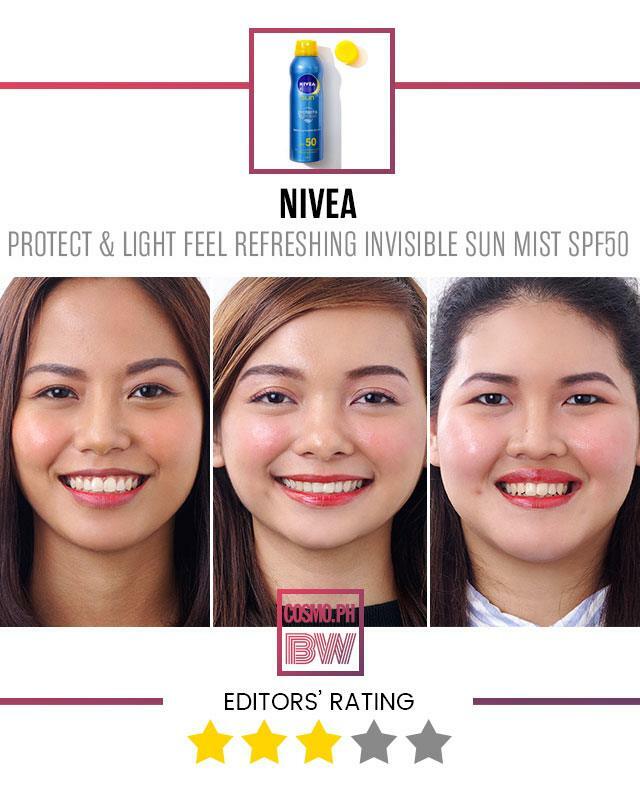 Disclaimer: The NIVEA Protect & Light Feel Refreshing Invisible Sun Mist SPF50 has been reformulated and is now called the NIVEA Protect & Refresh Cooling Sun Mist. 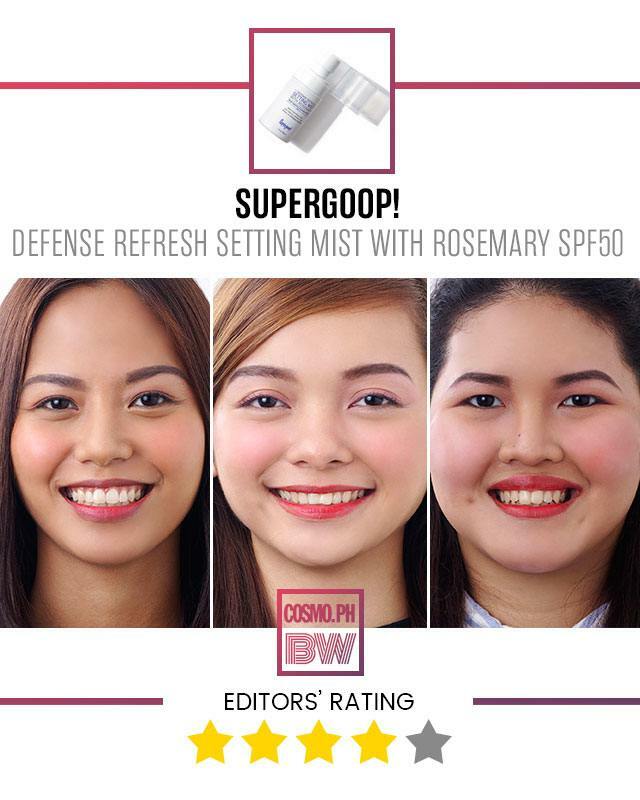 What It Is: A setting mist that gives a matte finish to control oil, while also delivering UV protection. PHOTOS: Mark Jesalva, Dakila Angeles. MAKEUP: Dave Grona.